businesses, they have changed their lives. One product's affiliates are writing tons of fake reviews about SBI!, just so they can recommend their product as being better! Our response? We performed a simple study to expose this immoral (and illegal) trick. SBI! is actually 33X more likely to build high-traffic sites! Don't let this dirty trick fool you! Click for full results of The Study, too. Tip: Ignore any testimonials or success stories if they do not include domain names. If they do include domain names, use SimilarWeb, Alexa and SEMrush to check their traffic. And voilà! You are now foolproof! Solo Build It! members ("SBIers") even outperform many larger competitors. In short, they build enduring e-businesses at unmatchable rates and levels of success. Don't just create a website or write a blog. Build one that becomes a profitable business that delivers on your goals. 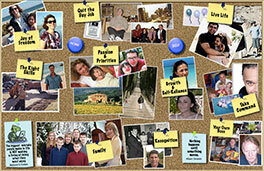 Join the SiteSell Family Bulletin Board. Not Smiling? What Worries You? We recently surveyed visitors to SiteSell.com. We asked one simple but unusual question. Thousands of people replied frankly. You've never seen anything like this. Why Build Just a Website or Blog? Solo Build It! is all about you starting and building your own business online. SBI! is all about e-business-building, not merely site- or blog-building. This is the single biggest difference between SBI! and every other product. NEW! WordPress or SBI!? Now you can have both! SBI! for WP brings you the best of both worlds. Only SBI! is taught as a formal e-business course at colleges and universities such as Arizona State. Site/blog-building is only 1 out of the 10 major stages for building any e-business. No blogging or site-building software includes the process or tools or support/guidance necessary to do the other 9. So what about the site-building stage? DAY 6 of the Action Guide takes you, step-by-step, through the optimal structure of a website. Then it shows you how to establish critical concepts such as voice and "VPP" (Valuable PREselling Proposition"). Finally, you'll fill your site with valuable, in-demand content that stands out. In short, you'll build a sharper, stronger site with SBI! and its sitebuilder than you will with other sitebuilders (e.g., Wix, Yola) and a bunch of upselling tips and articles. But it's the 9 other (metaphorical) "DAYs" that really separate SBIers from the rest of the solopreneurs, outperforming with 100X greater likelihood of success. see this article about the Action Guide. Don't miss the 10 DAY outline, starting here. If you do not do everything necessary to build a business, what's the point of yet another unvisited site or blog that earns little or no income? BlockBuilder 2: Powered By SBI! For More Than a Decade? It's the all-in-one combination of step-by-step process, 80+ tools, constant updating (why "auto-updating" is so important), and the highest quality guidance in the "help and be helped" SBI! Forums. Productivity soared. 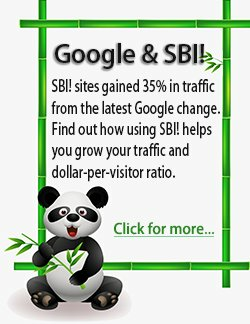 SBIers, already in the Top 3% of sites, are now in the Top 0.5%. Join the drive... Read all about BlockBuilder 2. An online business does more than chase a few dollars with "quick and easy" sites. And blogs are like piles of magazine clippings that get old as soon as you stop blogging. Sites and blogs cannot come close to the full income potential of properly constructed e-businesses. So what is more important? Which software you choose to build a site or blog? Which Web host you choose to host your blog? how you monetize your visitors (15 major ways). Only SBI! does all that. Without its process and tools and guidance, you end up with "just another site or blog" that will never be an e-business with serious revenue potential. Solo Build It! works. Real people build real businesses. Lives change. How can you be sure it's right for you? The real question is, "Is it right for you?" Follow the Action Guide for one month. Use the tools. Really do it (the folks who do not succeed at SBI! are those who do not use it). Need a helping hand? SiteSell Support is available 24x7. And go to the SBI! Forums. Incredible people "happen" there every day. Let your experience with SBI! speak for itself. After all is said and done, only your experience counts. It will most likely change your life. No reason needed. Here's the Money-Back, "Confidence of Success" Guarantee. Or click here to show and read the rest of this page. Click here to hide the rest of this page. If you have not already watched the SBI! Video Tour, please click here. The SBI! Video Tour explains everything about how SBI! builds businesses. Who Should Be Using Solo Build It!? If your online results have yet to make you smile, you need SBI!. SBI! 's unique combination of process and tools focuses you to work differently. You move step by step, effectively and methodically, towards one target, a profitable business. All you have to add to SBI! is (1) knowledge about anything (everyone knows something about something), (2) a positive attitude, and (3) motivation. We call those qualities BAM... "Brain, Attitude, Motivation." Bring BAM and you will succeed. Click this link to play a video in a new browser window to let SiteSell founder, Ken Evoy, take you on a 2.5 minute intro to SBI!. Specifically, Who Is Right for SBI!? Stay-At-Home-Moms become income-generating Work-At-Home-Moms, working at their own pace on topics from hair styling to Vieques, Puerto Rico. Local asphalt-sealer grows into a solopreneur who sells asphalt-sealing kits globally (could you "globalize" your local business?). Corporate exec (sales) quits to start an SBI! business and puts his former company (and its competitors) to work for him. "eBay slaves" (who used to pick-pack-and-ship and depend on eBay) turn the tables on them. Husband and wife leave Scotland and the textiles business to rent villas in magnificent Tuscany. Teen (now a business owner) learns a vital life and work skill and earns much more than her tuition and rent in New York City through her love of a Caribbean island. Photography lover drops his "safe job" and can't keep up now with demand for his work as a photographer (what he always wanted to do). Uber-geek (former navy man) becomes a Microsoft MVP and buys the "house of his wife's dreams," thanks to 15,000 visitors per day. Corporate cubicle worker ("Dilbert") quits his 9 to 5 and now travels the world while creating content about children's topics that generate 2,000,000 visitors per month (and climbing). Savvy network marketers soar ahead of their companies, even their "diamonds," and finally use the Internet to Network and build their own warm, interested (and free) leads. Retired people supplement (surpass!) pensions, working on their passions instead of "the old 9-to-5," everything from ham radio to Canadian weather. By the way, these are all real people. Meet them and read their real-time "diaries" of how they built their online businesses and changed their lives. SBI! is not "Get Rich Quick." For emphasis, allow us to repeat... SBI! is not "Get Rich Quick." There is no "GRQ" product that works. If there were, why would they sell it? It does, at first, take more work to build an e-business than a site or blog. In the long run, though, you save time and effort with SBI!. Every hour goes into the 10 key steps to build a business (site-building is just 1 step out of the 10 key business-building steps). You also save money with SBI!. Those 10 steps require software. Good software for the right tasks is expensive. You can buy some of it separately (just one tool can cost more than all of SBI!). But there is much that you cannot buy, because many tools are unique and because SBI! has been designed to coordinate its tools to work together in ways that single-purpose products can't do. What about the "Return on Investment?" There is no comparison with the profit potential, growth, and momentum of a properly built Web-based business. E-businesses not only build growing income, they build tremendous equity (value when you sell your business), unlike blogs. SBI! provides all you need to build a real, long-term, income-growing e-business that holds real value. No other product does that. No other product can prove (like this) our unmatched track record of success. Is Solo Build It! the Only Way to Succeed? "Why would you want to? It would cost so much more in time and money..."
Web hosts only provide hosting, site-building/blogging software, and some hard-to-install scripts. You need much more than that to build a business. They even offer "business hosting" for "business sites." But that is "marketing-ese." You still end up with a regular website or blog. The easy way to verify that? Check if they offer you these tools you need to build a business. Without SBI!, you will spend years figuring it all out, likely developing some bad habits along the way from misinformation. You could spend thousands of dollars on tools. You will likely be distracted by various schemes, including the siren call of "Get Rich Quick" ("GRQ"). Or you could start right, right now, with SBI!, all the info and tools, all constantly updated, all in one place, ready for you to "just do it." No more bouncing around for bits of information here, pieces of software there. And SiteSell Support and the world's best business-building advice are at your fingertips 24x7. SBI! is not the only way. But it is the best way. To understand how SBI! builds businesses, please click here. The SBI! Video Tour explains. constant updating of process, tools, and strategies (no need for you to worry about "keeping up"). No matter how "new" you may be to the online world, you can master the day by day Action Guide to start your own e-business. And you will continue to grow your business and your profits. What About Blogging? "Everyone's doing it!" Blogging is merely a particular way to build a particular type of site. Its format serves well for some online business purposes, but poorly for most. The unquestioning rush to blog is one of the big reasons for the high e-business failure rate. Since blogs are so easy to "do," millions of people flock to them. Blog if you are an insightful pundit/commentator. Blog if you want to cover the cutting edge news and developments in your niche. It's the perfect format for these two uses. If you are neither a pundit nor a news-reporter, blogging is the wrong choice of site-building software. Your first (of many more to come) expense will be $100/year for hosting (never take the free blog-hosting offers, not if you are long-term serious about your business). Click here for a deeper analysis of blogging today... if, how and when to use it. You do not get business-building software like this with a simple blogging platform and regular $100/year hosting. You do get the same old story... the blog goes up quickly, but you are not performing the other 9 business-building steps needed to build a profitable business. The SBI! Tortoise symbolizes our steady-and-sure approach to online business-building. No GRQ hares here. Methodically build, step-by-step, a real business... instead of putting up a site or blog and then figuring out what to do. You do not need to be Internet-marketing savvy, nor do you need to be brilliant or technically minded. No HTML, FTP, CGI, graphics or programming skills needed (although SBI! is compatible with DreamWeaver, GoLive, CSS, JS, Flash, anything you care to throw at it if you are more technically inclined). No search engine expertise required. No need for expensive tech, Web or graphic consultants. Content 2.0 drives results so much further ahead, it's hard to believe. SBI! 1.0 became 2.0 in 2008. 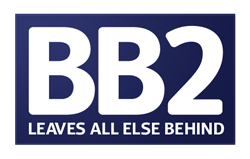 BlockBuilder 2 — a module so revolutionary that we've entered the third generation of SBI!... SBI! 3.0. Free. Everything is included in SBI! for the same price. Building a real business takes work, focus and tortoise-like persistence. SBI! handles all the tedious, difficult and technical barriers, leaving you free to invest your BAM into your business. "SBI! has an unusual problem. It is a product that is too good to be true... except it is true. We only really know that after we get started." People who want to build businesses online are rightly skeptical of e-business success promises. None of them deliver. SBI! OVERdelivers what it promises... your best chance at e-business success. SBI! works... if you work it. We know that. But you don't, not yet. other evidence of proof of success. The real question is, "Is it for you?" The fastest, most objective way to know for sure? Give SBI! a good try. Let yourexperience with SBI! speak for itself. After all is said and done, only your experience counts. Try SBI!. Like most others, it will change your life. Can you actually do this? Yes, thousands (including "newbies") already have. To be sure, start at the Case Studies. Find your closest match. Make a connection. Or choose another page (e.g., "proof"). You are now on What Is It? (Click to choose another) Case Studies The Process: C-T-P-M The CTP Motor Then "M"onetize The Tools: All You Need Compare SBI! : x vs. √ Certified Proof Test Drive SBI!